The best of both meals. As one of the most prominent coffee shops in the country, UCC is a good choice if you’re looking for good brunch food. Its branch in Forbes Town, UCC Park Café, adds two new dishes to its menu: Tuna Pesto and Spanish Chorizo—ideal for brunch, if you ask us. Now, if you’re looking for a drink to complete your meal, grab yourself a UCC Syphon coffee or a glass of cold press juice. UCC Park Café is at Burgos Circle, Forbes Town. 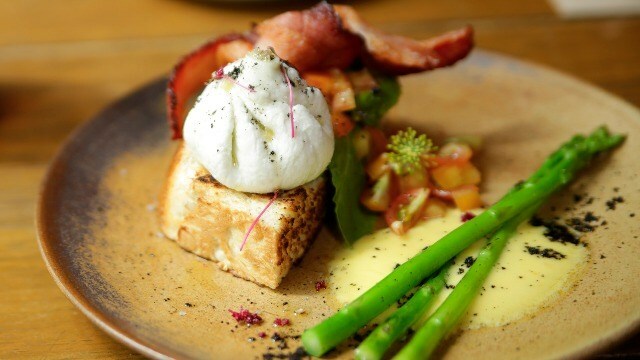 If healthy and enticing brunch is your style, then you will enjoy Frank & Dean. The beautiful interior matches well with the interesting dishes they have on the menu. Smoothie Bowl and Vegan Quinoa Bowl—don’t let their names intimidate you because they’re not only for health-conscious diners. But, if you’re looking for a heavier meal, Dean’s Classic Breakfast and Southern Fried Chicken are a good choice. Frank & Dean is at Burgos Park, Forbes Town. This popular ‘90s restaurant has revamped with rustic interiors and new dishes. 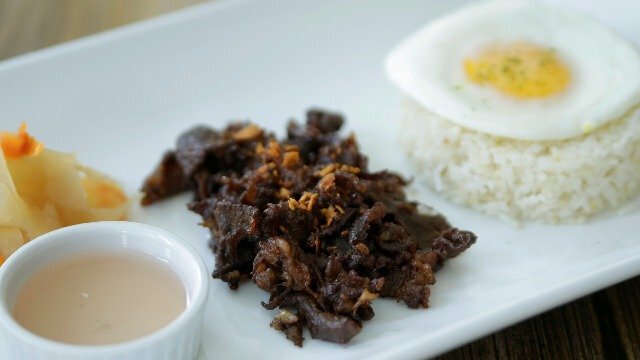 The Wagyu Tapa is a must-try—don’t hold back when you want some extra rice. Then, there’s the Lumberjack’s Breakfast: chicken sausage, bacon, and choice of egg and French toast; it’s heavy and enjoyable. 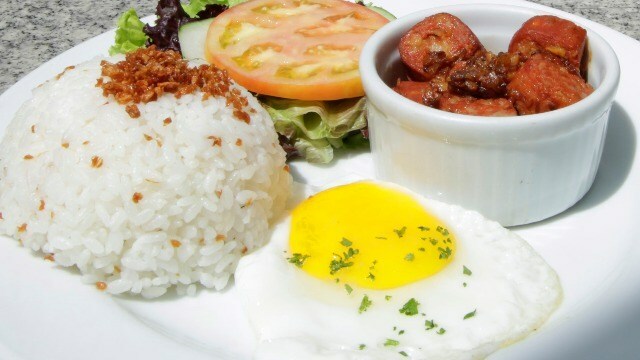 Filipino food galore awaits you at this place. Watering Hole is at Forbes Town Road, Forbes Town. This restaurant is a popular choice among yuppies, laid-back millennials, and expats. Well, that’s not surprising because the place is cozy, IG-worthy, and serves good food. The Burrata Bit is the go-to meal of diners who are looking for healthy brunch—from plating to the taste, it’s wonderful. 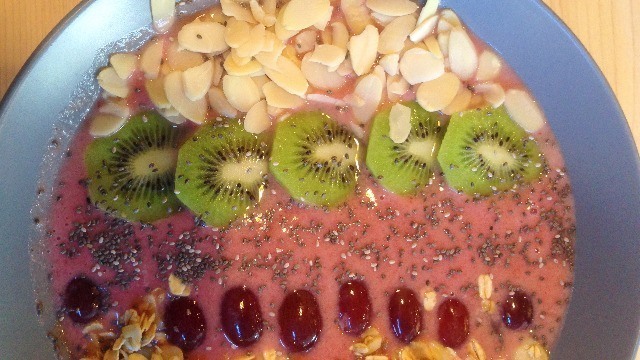 Waffles and Fruits is also a good healthy brunch option. Big Bad Wolf is at Forbes Town Road, Forbes Town. While Sunrise Buckets made a name for itself by offering awesome buffalo wings and signature sauces, it has more tricks up its sleeves. This restaurant also has good selection of brunch meals. Gunning for a heavy brunch? 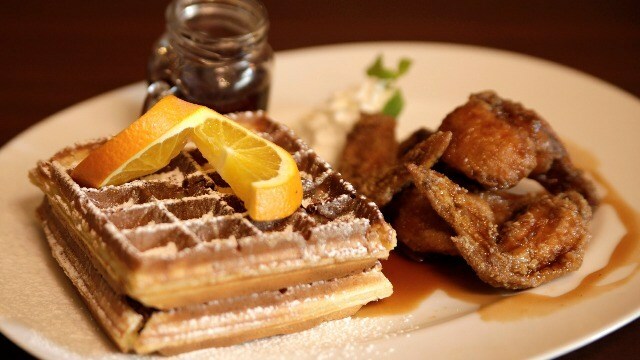 The Fried Chicken N’ Waffle and Sunrise Breakfast will not fail you. Sunrise Buckets is at Rizal Drive, Forbes Town. Without a doubt, Forbes Town is a treasure trove of brunch places. Follow Forbes Town on social media to get the freshest update; check their Facebook, Instagram, and Twitter.